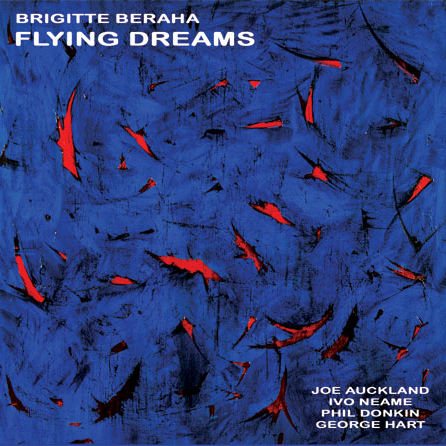 Brigitte Beraha is a young multilingual singer-songwriter (born in Italy, raised in Monaco, now living in east London) with alert jazz instincts and a lot of promise. Vocally, she has much of the pure-toned, wide-ranging, faintly inscrutable serenity of Norma Winstone, and a little of Flora Purim’s cool athleticism, too. She is good enough to be able to surround herself with sharp partners. Her light and flexible vocal lines over excellent trumpeter and flugelhornist Joe Auckland’s improvised counterpoint will remind many listeners of Winstone’s lyrical dialogues with trumpeter Kenny Wheeler. A premier-league young London band, including pianist Ivo Neame and Gwilym Simcock’s bassist, Phil Donkin, are given generous space to stretch out. Beraha often sounds as artlessly unconcerned as if you were overhearing her singing in the kitchen, and her own lyrics have something of an isn’t-life-mysteriously-wonderful-but-also-sad flavour that makes the distance to the words of Joni Mitchell or Tom Waits feel pretty substantial. But she’s a skilful writer of patiently curling, subtly resolved tunes such as the insistent, swerving, ostinato-driven So Simple, or the wordless Moving On.